#2. 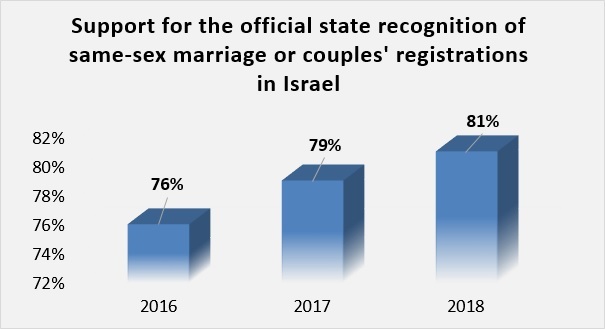 The Jerusalem Pride parade was held for equal rights for members of Israel's LGBTQ community, not long after the mass demonstration in Tel Aviv, which followed the enactment of a surrogacy law that perpetuates the surrogacy ban on gay couples. This legal prohibition forces homosexual couples to invest hundreds of thousands of dollars and to go abroad to have children via surrogacy. At the root of these two disputes is the unholy alliance between religion and politics. The only reason that the Knesset discriminated against gay couples in the vote on surrogacy, and that Agudath Israel was able to discriminate against women for all of these years, is the stranglehold of Israel's ultra-Orthodox political parties over the government coalition. 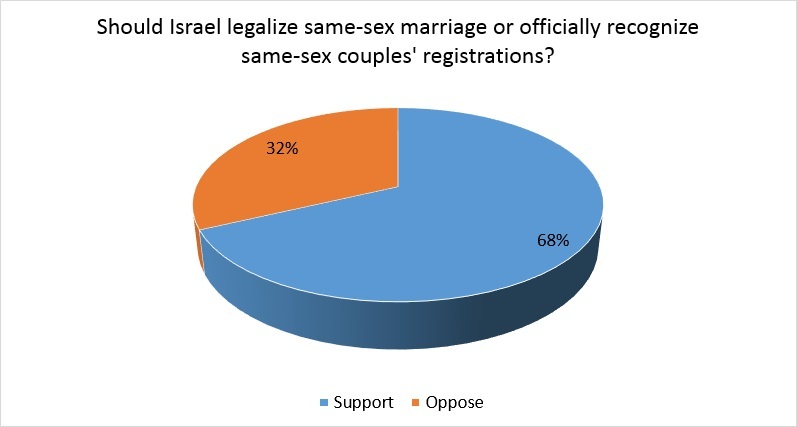 This of course has implications beyond these two concrete issues, but it is important to see that even in these matters, as in all matters of religion and state that Hiddush examines systematically and regularly in its public opinion polling and analysis, a large majority of Israel’s adult Jewish public supports both the right of homosexual couples to legal surrogacy in Israel and the right of LGBT couples to marry or formalize their relationships. Similarly, a vast majority supports an amendment of the Parties Law, which would ensure that women can be members of all parties, including haredi women, and that women should be placed in viable slots on every party's list of Knesset candidates. We must never give up the fight to bridge the gap between the will of the public and the values of democracy on the one hand, and the government's perpetual policy of submission to the ultra-Orthodox parties' dictates.